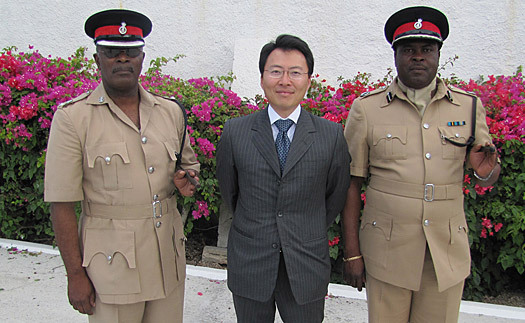 The US Embassy donated six sport utility vehicles valued at around $350,000 in total to the Royal Bahamian Police Force (RBPF) in a ceremony on December 14. The donation is part of on-going joint efforts under the Caribbean Basin Security Initiative (CBSI) with the goal of combating the drug trade and other transnational crimes that threaten regional security. In November 2011, Prime Minister Hubert Ingraham and US Secretary of Homeland Security Janet Napolitano opened the second annual CBSI Security Cooperation Dialogue held in The Bahamas that included more than 50 senior government officials representing the US, Caribbean Community (CARICOM) nations, and the Dominican Republic.